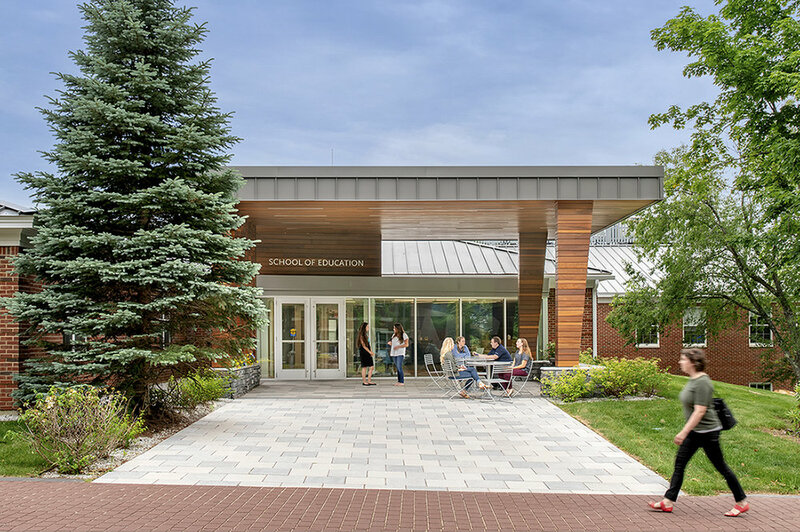 In 2016, SNHU’s School of Education was looking to create a cohesive identity and presence on their Manchester campus following several campus-wide relocations and the consolidation of School of Education staff, faculty, and classrooms to Belknap Hall. In order to achieve this mission, Belknap Hall’s interior was transformed from a congested and compartmentalized warren of rooms into an open and inviting space that encourages collaboration and interaction. Goals for the project were to create a place that is comfortable and welcoming, where it is safe to take risks, and that creates an identity for the School of Education on campus while generating and embodying excitement. The building incorporates open collaborative work spaces and student use areas including a coffee bar/kitchen, student project room, conference rooms, new flexible and technology rich classrooms, as well as Staff and Faculty offices. With these upgrades, the School of Education is not only able to meet their mission to effectively prepare and support future educators, but is also able to promote growth of the program. In addition to gutting the interior of the 23,000SF building, the design team was tasked with upgrading the building HVAC system and improving thermal performance while maintaining important areas of infrastructure that it would be difficult to relocate. 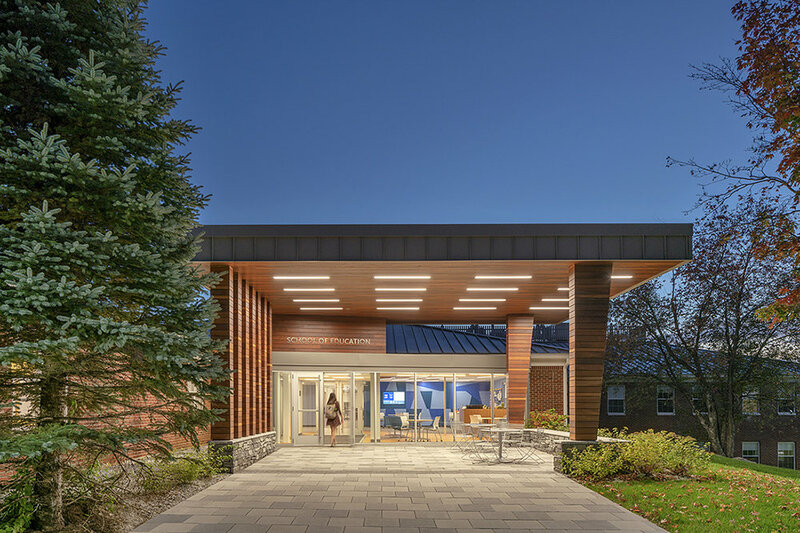 The re-designed entry plaza and canopy that was incorporated later into the scope of work, is an exterior expression of the hospitable nature of the renovated interiors and the welcoming environment embodied by the School of Education.